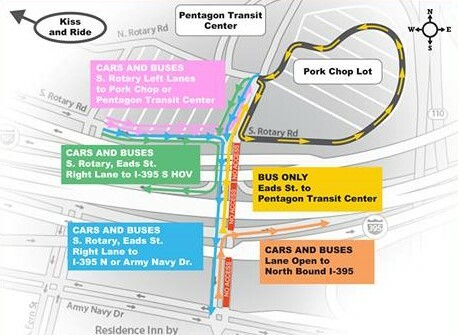 Ongoing construction activity at I-395 HOV on- and off-ramps on Eads St. at the Pentagon Reservation will lead to a lane shift in traffic patterns and delays. 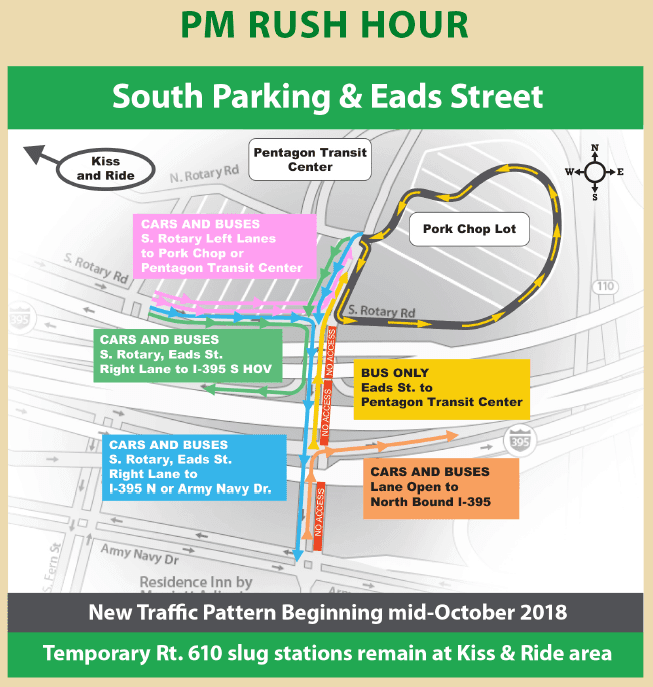 These new traffic patterns begin Monday, October 15, 2018 and continue into January 2019. 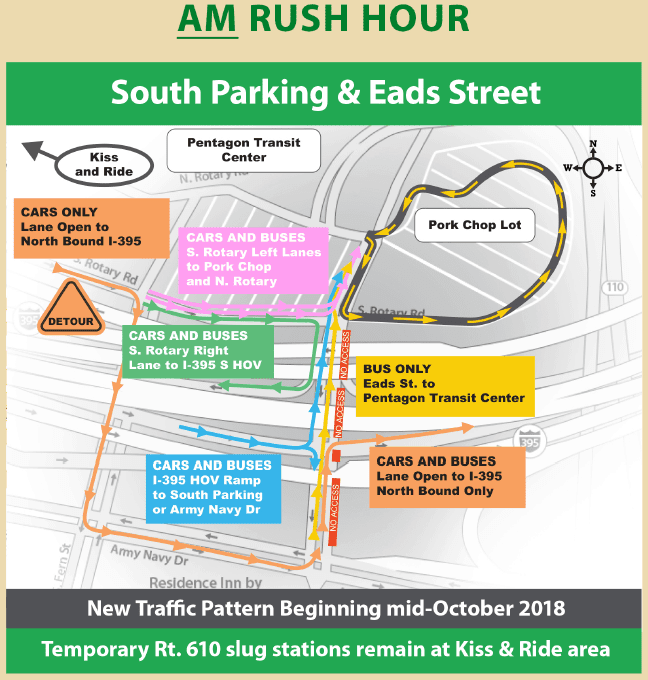 Drivers should follow updated signs and the direction of traffic control officers, and review the new traffic patterns shown. Note that drivers dropping off passengers at the Pentagon in the AM rush hour and continuing to DC or Crystal City will need to detour to Army Navy Drive to reach the I-395 North HOV on-ramp. 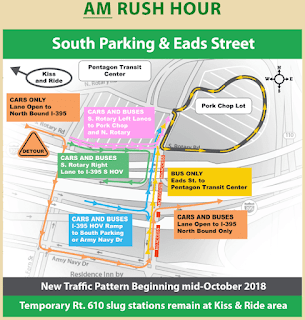 There is no change to current locations for AM drop-offs or PM pick-ups. 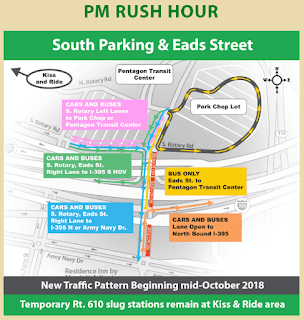 In the event of significant congestion during the PM rush hour, drivers should be prepared to take alternate routes to I-395 South HOV lanes.